Please join Lambda Alliance and the community in celebrating 2013's Augusta Pride. We will be marching in the parade on Saturday, June 22rd, 2013. We will meet at 7:30am in front of the Augusta Commons facing Broad Street. We will have a table set up in partnership with GRU Equality on Friday, June 21 from 6 - 11pm and Saturday, June 22 from 11am - 7pm. Come see us! Please visit: http://www.augustapride.com for more information or contact an officer in Lambda Alliance via the Officer's Page. 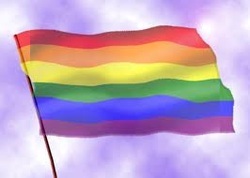 Please help Augusta Pride 2013 by volunteering some of your time during Augusta Pride. Please visit http://www.volunteerspot.com/login/entry/1222345634574874048 to see signup to volunteer! COME CHECK OUT OUR TABLE AT AUGUSTA PRIDE!